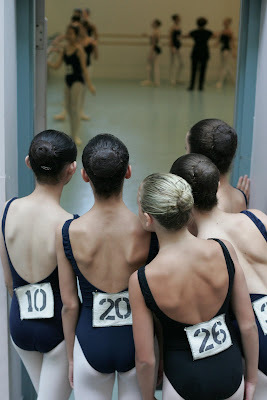 Anyone thinking that Summer School is another word for a holiday, probably doesn’t do ballet. 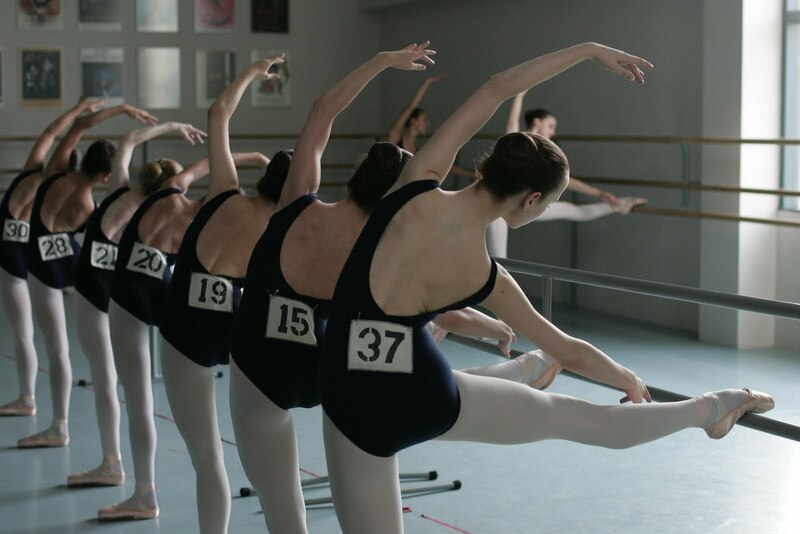 The brutal truth is that for the nine subjects of this documentary about the Royal Winnipeg Ballet School summer session, they start off being just a number. One of 1000 students competing over four weeks, and from there, only 70 will be invited to join the Professional Division. So it’s no picnic. Yes, some of the girls will be accepted, but in this film, their stories fully encompass the unfairness of life, including rejection because of physique - the things you can’t do anything about. The Summer Session is an intensive audition period for the RWB School full-time Academic Programme, and for those who are not local, accommodation is provided. It means that for some of the girls this is their first trip away from home. Some are only 10 years old - at that age what have you experienced, really ? 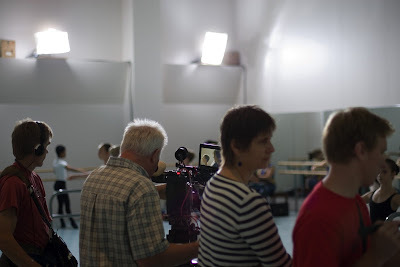 The girls (there is a scattering of boys but this film follows the girls, as the classes are split from the start) are expected to prove that they have what it takes to become a ballerina. How do the girls get noticed ? The teachers are looking for talent, obviously, but talent is very rare and comes in many guises – musicality, physique – particularly the ability to withstand the rigours of training, aesthetic, lines, intelligence, passion and an inner strength that will help the teachers to develop confidence in the dancer. So often it is the case that the child’s family will positively encourage the child, blissfully unaware of potential weaknesses. This film is refreshing in that it shows one young dancer, Carmen, whose Father seems to positively discourage her from ballet – telling her to find a school herself, which she does by going through the phone book. Then she is told that she has to pay for it herself, though in the end the school paid for her. It is also the case that however good a local ballet school may be, taking part in a programme attached to a professional ballet company can be revelatory on many levels. First of all the teachers have seen more students and they are aware of what the professional world entails first hand; and mixing with other like-minded students, who are taking the whole thing really quite seriously, can be beneficial because it is often said that local ballet classes usually have a mixture of students -those who have perhaps been sent by their Mum and don’t take it seriously and those who do. The Summer Session takes training to a new level and everywhere you look there are students trying their best. It’s an atmosphere where you can’t help but be inspired. And they are still so young ! Mostly the girls are dressed in black leotards and pink tights, and to preserve the relaxed and efficient atmosphere of the classes, auditions are always closed to observers. It’s one of the reasons why this film is so revealing – if you are a parent who has always wondered what goes on when you leave your daughter behind, here is your answer. The schedule is pretty punishing, but varied. 5pm is Hip Hop, 6pm is Jazz, 7pm is Tap, 8pm is ballet and by 9pm one of the most promising girls (Lauren, 11) is in tears with an ice pack on her head to help with her headache. I did see the girls eating, and being told to eat, and none of them looked to be underweight or unhealthy. On camera, they eat a lot of sweets, crisps and ice-cream, but the school has a canteen providing meals for the students. In placement class, Kayla (13) tells how it’s just not enough to have the right physique; it’s only 5% of what you need – dedication makes up the rest. Melissa (13) suggests that the Summer Session is like going from kindergarten to grade 5 in half a month. Melissa’s own teacher said that, whilst not obviously talented she had soul, which would help her enormously because she literally dances with her whole body. Melissa has a horse of her own and rides as much as she takes ballet. One of the teachers sets the scene early on, when the girls are feeling sore and their legs and arms just won’t co-operate after the 5 hours of classes every day, when she says, “sometimes it’s painful. But I have a saying, lots of pain – lots of gain.” The girls learn to thank the pianist, the teachers and each other at the end of class, and sometimes their musical accompaniment varies; it could be drums or a whistle. Raquel (15) never wanted to do ballet, starting with acrobatics aged 9 because she thought that ballet was boring. Her teachers told her that ballet would be good for her, and now she says that she dances to escape from everyday life. Lauren is quick to point out that she feels the teachers are always watching “with those eyes” which make her feel that the teachers are mad with her, when really they aren’t. One of the teachers, Bruce Monk, likens the training to a Swiss watch, where all the mechanisms have to work in unison. And the teachers do spend an inordinate amount of time making sure that the students feel the movements; that they fully understand when the foot is properly over the shoe en pointe, when the toe is pointed in correct alignment with the knee, when the weight is too far forward or backwards, what the correct turnout is i.e. the foot follows rather than leads, and how the correct alignment feels as well as what it looks like. At this stage the emphasis is on the feel of correct positioning; later on in a vocational environment the students will learn why the movements have to be done this way. Bruce Monk explains in detail what they are looking for; how does the large bone in the thigh fit into the pelvis; is there at least 140 degree rotation of the pelvis; the shape of the foot, the length of the tendons and how much turnout there is. Quite a few of the girls have not worn pointe shoes for at least two weeks, and the teacher tells them that these exercises are probably going to hurt them because of that. One of the girls aptly describes the experience as “like dancing in wooden clogs with sand inside.” A phenomenal degree of instruction into the minutiae of ballet is imparted to the students. Their teacher shows them how to break in new shoes, instantly making them more comfortable, and there is a huge amount of pointe work focussing on foot shape, pointing and weight placement. Without exception the girls complain of burning muscles, though they may only have just begun an exercise and the majority of the work is still to come. One of them wryly comments “you have to love it that much that you even love the pain.” Despite the fact that the classes get harder and harder each week, it’s very clear that the students love them, and they cover a wide variety of styles – as well as those mentioned previously there are character dances and some pas de deux work. Lauren’s teacher says that she has limitations because her feet are flexible. Alicja is not responding in class in the way that her teacher had hoped – and expected – and she has become caught up in the social aspects of school, being a very sociable girl. One of the parents makes the point that even if her daughter is accepted, the training is expensive and they might not be able to afford it. How do you tell your daughter that she can’t fulfil her dream ? It’s a dilemma they will not face until the end of the four weeks but already they are considering the possibility. It’s not all work and no play. One of the girls is surprised by how much time there is to do other things, and some have laptops with webcams to call home. Others use the payphone. In terms of homesickness, some of the girls struggle but the issue is summed up well by one of the girls saying “you do get homesick but you get used to it and by the end you’re crying because you don’t want to leave.” For those who are boarding, room inspections require vacuuming and tidying up, and the older girls do their own washing while they are there. None of them seemed to be short of clothes ! During this Summer Session, the School holds auditions for the role of Clara in The Nutcracker, giving the students the chance to perform with the Company. Raquel, Won-Jung and Melissa have been invited to audition, though they are not yet in the professional division. It’s quite an honour and André Lewis, Artistic Director of the Royal Winnipeg Ballet is present. In the end three Clara’s and one cover are chosen, one of whom is Melissa. Before you know it, decision time looms and a big sign on the wall tells the girls to remember to phone home. Although they are still at the school, the teachers call their parents and the news is relayed by phone to the girls. Alicja attends a meeting with her Mother, and is not invited because of her lack of progress. The teachers are, all the way through, sparklingly clear and honest, and they pass on the difficult news with compassion but also with a clear message as to why the decision was reached. I think this is one of the advantages of having a four week audition, because at 10 years old it can be hard to assess a girl in an hour; it’s more important that she is given time to show herself and her capabilities, and this Summer Session does just that. Alicja’s teacher ended the meeting by saying that Alicja had seemed, to her, indifferent to what they were doing. Lauren meets with her teacher, who explains in more detail the issues she has with Lauren’s feet. After four weeks observation the conclusion is that the structure of her feet will make pointe work difficult for her. Also, her shoulders are too broad and her neck line is not long enough. At this point you might be thinking the same as me – those things must have been obvious when she started and are unlikely to change. But she has been given her chance just as the rest of the girls have, and must now deal with the fall-out. Melissa was accepted, but was surprisingly non-plussed about the prospect of reaching the Professional Division. For her, the decision revolved around missing her family and her horse – did she see a future for herself in ballet or in riding, or somewhere else altogether ? In the end she declined the invitation, mostly because she missed her family too much. Her Father was very sad – having taught her to follow her dreams, he felt that she would regret not taking this chance later on. Raquel was told that she would have to start straight away, that there was no time to lose otherwise it might be detrimental to her future career, throwing her parents into turmoil because they hadn’t anticipated the speed with which they would need to make a decision. Kayla, who had been rooming with Sidnie, was accepted. Sidnie faced a wait of several days before learning that she had not been. The film concludes with news on where the girls are now – Alicja has given up ballet because of a hip injury; Lauren has won many awards; Carmen, Kayla and Won-Jung went into the Professional Division; Sidnie has carried on with ballet but is training to be a doctor; Raquel went on to attend another ballet school and Melissa went on to attend Pittsburg Ballet Theatre’s graduation programme. Elise Swerhone has directed a film with her knowledge of the Royal Winnipeg Ballet very much in evidence. It offers a rare and tantalising glimpse into the audition highs and lows; some things you might know and a lot more you won’t. The teachers are a credit to the School and this film shows how it is possible to reach your goal with the right tuition, the right physique and an awful lot of perspiration. The theatrical release in Canada began in January, and the film receives its New Zealand premiere this Friday. In terms of a wider release, if you are interested in seeing the film then please leave a comment below so that the producers are aware of your interest. Make some noise - and it might make the difference. I would very much like to see that movie in Croatia!!! Me encantaría que la película llegara a ESPAÑA. I would love to see this. I'm in the UK. Thank you for such an in depth review!! would LOVE to see this in the UK! Definately would love to see it in the UK! LOVE all of those pictures! I think lots ov people in teh UK would love to see this as a TV release or dvd. I am going to look for this! Thank you for sharing! I would love to see this! I hadn't heard about it, but it sounds so interesting. Thanks for your incredibly detailed description of it! Yes!! I would love to see this- I am in the US. Thank you so much for posting this. You must have put a lot of time into it. Now I want to see it. This is a wonderful and insightful review. Many in the US would benefit from seeing this movie! We can't wait to have this in the United States...Ballet Des Moines in Iowa would love to see and show this to their pre-professional company. I am in the UK - please could we see the film here. This film would be of great interest to we ballet mums over here! I would like to see the film! Would love to see the film in the UK if possible. I really enjoy learning about how people train to become ballet dancers. Great review. I would like to see it here in San Francisco, California,USA. Would really love to see this .Great review. We'd love to see it here in Southern California (Long Beach Art Theater would be nice:)!! It looks like a great film and we could get all of our ballet friends to come see it too! We are looking forward to it!! :D Thanks! thank you very much everyone. I will keep you posted. Please show this in the UK! I happened to catch part of a series they did called Ballet Girls (I think TuTu Much came from that) and it was brilliant! I hope they bring it out here so I can see the rest.